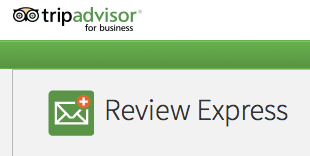 TripAdvisor have improved compatibility on their review harvest widget (Review Express). Sounds great? Not when you analyse the impact this will have on your TripAdvisor ranking and score. All the extensive research into reviewer behaviour (Harvard Business School and Cornell School of Hotel Administration are just two high profile examples) done in recent years shows that giving guests a simple mechanism to voice their dissatisfaction will result in proportionately more (many more - perhaps by a factor of up to 15x) negative reviews being posted. It's common sense really - just ask colleagues or friends when you are next in a group "Are you more likely to post a review if you are happy or unhappy?" - you know the answer already! We couldn't agree more with this statement by TripAdvisor, but any professionally managed establishment will want a safety mechanism between its guests and potentially damaging reviews - and we are not ashamed to say that's where Dialogue™ comes in. A less than happy guest checks out (on or around 1 June 2014), having made their views clear to the hotel. The hotel realises the guest is about to go through the Review Express system and are almost certain to post a negative review. Review Express is suspended. And that's the problem with any system that invites the reviewer to post directly to any site (be that TripAdvisor, Google, Yelp or any other). No business is going to risk their hard-won reputation in this way. And nor should they - when they have Dialogue as an effective alternative. *We cannot be sure, but we think it likely that this is a 'late reviewer' who took some time to respond to the Review Express email.